How Cell Phone Could Be Affecting Your Health? Many people put their health at risk everyday with addictions. Some people smoke a pack of cigarettes each day, while others may indulge in a little too much alcohol, coffee, sugar, or even convenience foods. All of these common vices, as you likely well know, can lead to detrimental health problems. But there’s one more vice you may want to add to the list: your cell phone addiction. It’s a widely shared addiction. Cell phones are owned by 90% of adults in the U.S., according to Pew Research; of these individuals, 58% use a smartphone. There are many reasons people use cell phones, from simply keeping in touch with loved ones or work colleagues, to making appointments, or keeping on top of all those e-mails. However, these habits could be increasing your risk of various health conditions and even cancer. How? Through electromagnetic frequencies (EMF), for one. What EMF Radiation Is Harmful? The problem with this addiction is the radiation and electromagnetic frequencies (EMFs) emitted from your cell phone and other wireless devices (such as tablet computers and Bluetooth pieces). Basically, any form of electronic has a high EMF frequency when plugged into an electrical outlet. Some examples include computers, stereos, or TVs; even fluorescent lights and electric shavers put your health at risk. 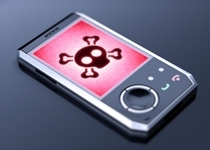 Many studies associate cell radiation to serious health concerns and diseases. You may not realize the problem when it is only affecting your sleep, giving you headaches, or making you dizzy; however, these frequencies can also lead to neurological disease, DNA damage, infertility, immunity issues, compromised adrenal function, and cancer. EMFs can be found in anything that uses electricity, and they can even harm animals and plants—or your food! Pretty hard to believe, isn’t it? Consider how 4G LTE (long-term evolution) wireless networks affect you. All the new smartphones are on the 4G LTE network. They are faster than 3G, but at what cost to your health? In a double-blind, crossover, randomized, and counterbalanced study published early in 2014, researchers found that LTE radiofrequency electromagnetic field (RF-EMF) exposure altered low frequency fluctuations in some regions of a person’s brain. There were 18 people in the study; each talked on their cell phone for a 30-minute timeframe. How Do EMFs Affect Your Children? It is also smart to keep your children and grandchildren in mind. Radiation exposure is considered a greater risk for children. Why? They have thinner skulls, and the brain contains a larger ion content and more water, which are reasons that enhance the penetration of EMF radiation. The EMF absorption for a child’s head is two times greater and 10 times higher into the skull than for adults, according to a 2012 abstract published in the journal Electromagnetic Biology and Medicine. How Do You Avoid EMF Radiation? It might not be easy to avoid EMF radiation when it is everywhere, but the first step I would suggest is keeping your home phone with a cord (cordless phones emit EMFs, too). I also recommend unplugging all electronics before going to sleep, including your wifi—wifi frequencies are 2.4 to 5.0 billion hertz (high frequency radiation). Also, if possible, leave your electronics outside of your sleeping space. This will help you sleep without waking up throughout the night. It is best to limit your cell phone time to emergencies only, and when you carry your phone with you, avoid anywhere on your body—a purse or bag is best. What is the Best Way to Avoid EMF Exposure Completely? I restrict my tablet or smartphone usage whenever possible and text instead of talking. Finally, being immersed in nature is a great way to unplug altogether from technology. I enjoy taking a walk in a forest, leaving my cell phone behind in a safe place, like in the car or at home. Forests are completely free of EMF exposure, and the fresh air will also help cleanse toxins from your body. Gandhi, O.P., et al., “Exposure limits: the underestimation of absorbed cell phone radiation, especially in children,” Electromagnetic Biology and Medicine March 2012; 31(1): 34–51, doi: 10.3109/15368378.2011.622827. Lv, B., et al., “The alteration of spontaneous low frequency oscillations caused by acute electromagnetic fields exposure,” Clinic Neurophysiology February 2014; 125(2): 27–286, doi: 10.1016/j.cliph.2013.07.018. “What is MRET?” MRET web site; http://www.mret-ohm.com/mret/index.html, last accessed January 12, 2015. “Mobile Technology Fact Sheet,” Pew Research Internet Project web site; http://www.pewinternet.org/fact-sheets/mobile-technology-fact-sheet/, last accessed January 12, 2015. Roosli, M., “[Health effects of electromagnetic fields],” Therapeutische Umschau December 2013; 70(12): 733–738, doi: 10.1024/0040-5930/a000472. Carpenter, D.O., “Human disease resulting from exposure to electromagnetic fields,” Reviews on Environmental Health 2013; 28(4): 159–172, doi: 10.1515/reveh-2013-0016. Habakus, L., “Is Your Iphone/Ipad Frying Your Child?” GreenMedInfo web site, October 15, 2014; http://www.greenmedinfo.com/blog/cupertino-we-have-problem-wifi-kids-1.